Three effects in the cement production with the mill_Zeolite roller mill,Raymond roller mill,Three-ring roller mill,Roller powder grinding mill,Calcium carbonate roller mill-Clirik. Domestic industrial waste emission and by-products include: Slag, coal ash,steel powder, zeolite powder and silicon powder.Slag and coal ash is widely used in production and it is one of the main raw materials of super fine grinding powder, which is widely used in production. The research into industrial waste slag super fine powder mainly focuses on the selecting of raw material and its fineness. Cement and concrete can be made up by coal ash on a large scale,therefore, its application is the key point of domestic cement research. After the coal ash became ground,it can not only rise the rate of hydration,but also destroy the close-grained ball shell of coal ash,accelerating the pace of coal ash's pozzolanic reaction and enhancing the early density and hardness of the cement. Processed by the grinding powder mill,the coal ash will show three effects: pozzolanic effect, shape effect, and micro-aggregate effect. The key point of recycling the coal ash is to choose a proper powder grinding mill, like zeolite roller mill.Shanghai Clirik Co.Ltd. is an enterprise who keeps on producing the grinding mill over the years. 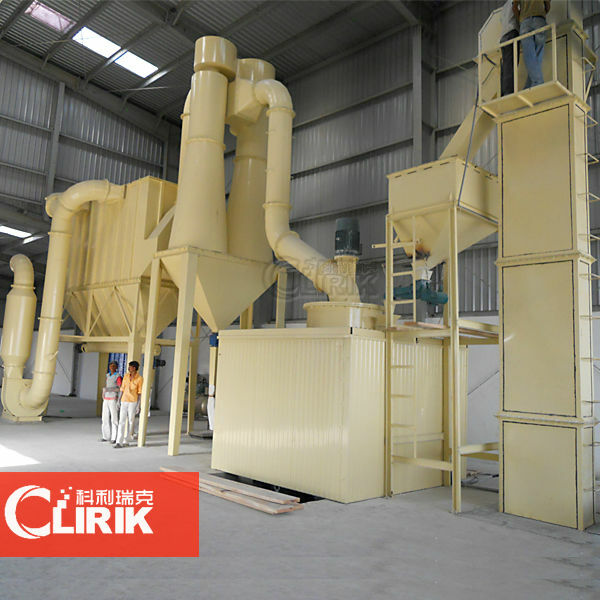 The powder fineness of Clirik grinding mill can be adjusted between 300-3000, which satisfies the various processing fineness needs of the enterprises.